Christmas is almost here and we are more than ready to share this joy with you. 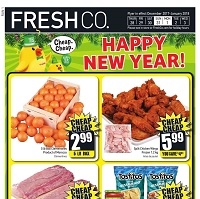 All of our favorite stores such as Superstore, Freshco, Sears and Metro are beginning to drop their prices so DO NOT forget to check out their brand new Christmas flyers. As always, we will prepare this event with brand new flyers, lists and coupons to serve you the best deals on Christmas ! You can check our pages for best deals, biggest discounts, newest events and lists to save more. 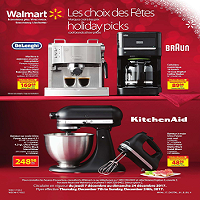 Big deals on Christmas is not a new thing, so you want to be prepared for this event. Do NOT worry, we will track the best deals, coupons and flyers just for you and all you need to do is check our pages and lists for more ! Please subscribe our news list for newest and biggest deals ! Christmas deals will start at 24 December, so be quick and subscribe our news teller for best deals! It’s time to catch up Christmas savings ! 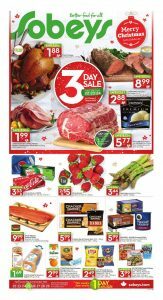 Sobeys Flyer December 22 2016 introduces you the best prices and deals of the year ! Several special for Christmas can be found on this awesome flyer. 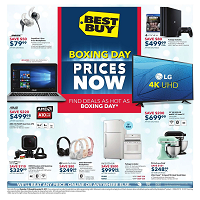 First page of this flyer contains incredible offers which is “3 DAY SALE”. This special deal includes fresh turkeys , hickory smoked spiral sliced ham , prime rib oven roast , ice cream and beef tenderloin whole cut. You will see amazing prices! This starts December 22,Thursday. Benefit these awesome prices if you need some. 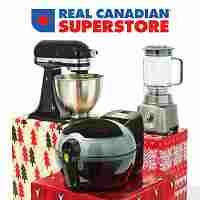 Last day to reach these products with lower prices is December 24 , Saturday. Spend your holiday in the most wonderful way! One of the best way to start Holiday well is a great breakfast. Color your breakfast ! On page 1 is full of delicious and fresh selection. Moreover , prices of them is quite fair ! Every purchase of them provide saving your money on this page. Nutella which is indispensable of our breakfasts is on sale now! It’s only $5.99. When any purchase of it , you will save $1.60. 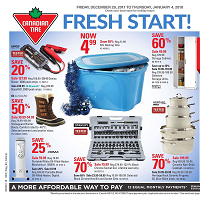 Also , HUGE SAVINGS on kitchenware are featured on page 1 too. Don’t forget that browse these selected products. You can encounter good savings up to $15.00. Knife set , kettle , fry pan , collapsible colander and chopping board set can be browsable here. Get ready for holiday ! 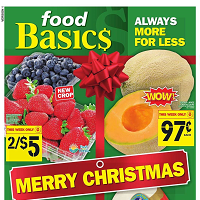 Many essentials for your holiday such as appetizers , drinks , snacks , coffee and many more are sale on page 2. Especially, you should try their salad ! Their selections are exteremely good looking and delicious! Ceasar for a crowd party size salad is only $29.99. Find your favourite drink and enjoy ! Their meat products are pretty good ! The freshest and awesome selections are waiting for you. Particulary, part of ready-to-cook will draw your attention. Over 20 varieties of store made meats are available on their stores. Moreover , when you buy one of them , you will get one FREE ! Don’t waste your precious time. Ready meals and practical ways can help you to have more fun. Several good looking and fresh seafood such as lobsters , oysters , lobster tails and mussels , quick meal options and some frozen seafood are available on page 6. If you prefer seafood on Holiday , here is correct address. You can reach many types of seafood on this flyer. You can also have perfect quick meals on this page. Sensantions by compliments fresh sausages is only $4.99 ! Various goodies such as caramel pie , cakes and pastries some types of bread and delicious bites for holiday are featured on page 8. As they said “make the holidays sweet” You should try these delicious selection. You also have great deals. When you buy 2 Compliments fresh pasta , you will get one Compliments pasta sauce FREE ! Munchies snack mix , rold gold or ruffles , $2.99 ea. 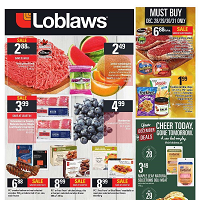 Sobeys always offers you fabulous options to save your money in more ways ! 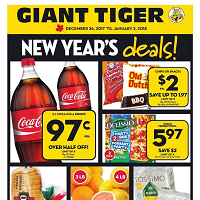 All pages of this flyer is full of amazing deals. You shouldn’t miss them. This flyer will make your holiday great ! Here you go! Should look at all details of their deals. This is great place to get through Christmas shopping. Enjoy! Although there is no much time to decide what are you going to give as gift for your children, wife or other family members for Christmas, you might got a last chance with this article ! If you want to make someone who is important for you happy with giving a special gift, of course you have to know that what he or she likes. I personally think that this is the key for Christmas presents. Not everyone likes books you know 🙂 Now, lets check out our list for the Best Christmas Gift Ideas ! Games are not only popular among children, it is also big deal fort adults. If your partner is a big gaming geek, you might think to give him PC or Console games as Christmas present. We selected the best games of the previous year from EB GAMES FLYER just for you ! Just check out the prices right bellow ! Other gifts might be TITANFALL 2, THE WITCHER and DARK SOUL 3 Save on $30 on them. Do you have a serious friend or partner. Check out these ideas ! We have thought watches and personel care products may be suitable for such serious relationships. Also we checked the flyers which are available all Christmas week long to give you the best gift idea. If you think that he/she likes electronics or just needs it for fun, you should definitely check this deals out ! iPad Air 2 ,which is sold for $550 at Best Buy, is available at Walmart for $478. You can save $72 with buying it from Walmart. We Wish You All Merry X-Mas ! Don’t forget to subscribe our news teller for more deals ! It is on the top of this page ! 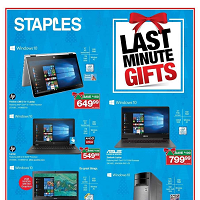 Also you can check out Sears Last Minute Gift Ideas, now. 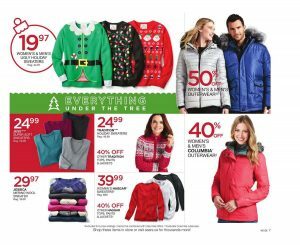 Sears comes back with Super Santa Weekend sale on Sears Flyer December 14 2016 ! Christmas is on the horizon and our favorite shop is begin to lower its prices. Various types of products in discount on their new flyer Santa Weekend such as Jess Tops, Skirts and Pants (%60 off), Embroidered Sweaters (%50 off) and Axist Sportswear (%50 off). We all expect harsh winter season so it is reasonable and cheap to shop this store in Christmas. Sweaters, coats and boats on big discount on here, so don’t forget to check out our brand new flyer of them just before the Christmas ! Super Santa weekend not just about getting presents to your loved ones, you can also buy yourself a brand new coat or boat ! Just check out the Super Santa Weekend and our best deals list for best discounts ! Super Santa Weekend is full of gift ideas, so you have to check it out before buy anything for your loved ones. 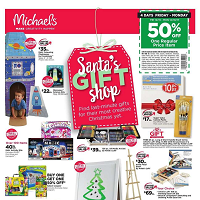 You can buy the best Christmas gifts in their stores, so DO NOT forget to check this flyer right now ! We will bring the best deals on this brand, so don’t forget to subscribe our News Teller for more ! With it, you can be aware of any discounts in any store. You can subscribe it with your E-mail very easily. It is on the right top of this page !